Interest in getting autonomous vehicles out of the future and into the reality of the everyday driver continues to grow. This process takes time, considering how it changes the entire dynamic of driving and the rules of the road. A big question facing the technology focuses on the negatives of driving: accidents. How well does an autonomous vehicle handle an accident, and is it better than a real driver or worse? One way Google wants to help relieve this concern lies in how the vehicle’s design handles a collision. 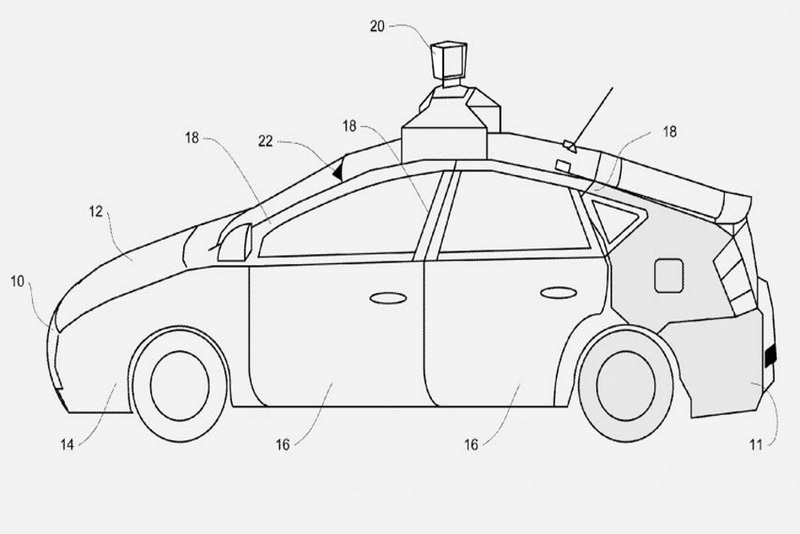 In August, Google’s self-driving car project Waymo secured a patent for a vehicle that would soften when encountering a collision to protect the people involved. The patent details how the vehicle’s structure would have a variety of internal and external sensors constantly monitoring the changing environment. Should these sensors detect an oncoming object about to hit the vehicle, the internal processors determine what section of the car needs to release tension to have the impending blow soften to limit the amount of damage it receives. In the patent, Waymo describes numerous ways this can happen, from the vehicle’s structure having multiple parts that move to lessen the blow, to internal cords that loosen, get released or cut to reduce the car’s rigidity. These methods of relieving tension could change based on the object the headed towards the vehicle. In the patent, Waymo explains how the external sensors would have the capacity to determine what type of object was about to hit the car, from an animal to a cyclist or another vehicle. This could mean that based on what the vehicle’s program detects, a set of safety procedures could activate, with more drastic ones activating depending on what is involved in the impending collision. However Waymo decides to implement these releases in tension, the implementation of these safety features focuses on two things: limiting the damage involved in a collision and protecting the human driver. If the vehicle softens the overall blow it receives in a collision, whatever it hits would also receive less damage, thereby protecting as many parties as possible. For now, the patent remains simply an idea Waymo plans to explore to find the best solution to as autonomous vehicles develop into the market. No details were announced on when prototypes of this patent could get revealed to the public.